Horton and Port Eynon Lifeboat Station (based in Horton, Swansea, Wales) opened in 1884 and was originally based in Port Eynon. The current station in Horton operates a D class lifeboat named Albert Wordley. The first station opened in 1884 in Port Eynon after multiple tragedies along the coast resulted in a large death toll within a short time period. 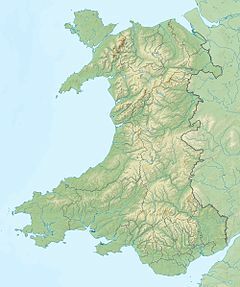 The RNLI decided a lifeboat should be stationed further west than The Mumbles Lifeboat Station and chose Port Eynon for the location. A boathouse was built on the west end of Port Eynon Bay to house the lifeboat A Daughter's Offering. This building is now used as a Youth Hostel by the YHA. A Daughter's Offering had a successful 22 years of service, saving 39 lives in total. In 1906, A Daughter's Offering had reached the end of her useful life, so a new lifeboat was provided. The new lifeboat, Janet served for 10 years, saving a total of 15 lives. Tragedy struck on 1 January 1916. Janet responded to a distress signal from the S.S. Dunvegan and while making her way to the vessel was capsized by a large wave. Although the lifeboat automatically righted itself, one crewmember could not make it back onboard and drowned. Janet then capsized again and another two crewmembers had been lost overboard and could not be found. The lifeboat had lost all of its oars at this point and could do nothing but drift towards Mumbles. Due to this tragedy, the lifeboat station was closed. A sculpture commemorating the lost crew of the Janet is in the churchyard of Port Eynon Church, and there is a plaque inside the church. In 1968, the RNLI determined that there was a new need for a lifeboat station in this area, and so allocated a D class lifeboat to a new station based close to the beach in Horton. The new station still operates; a new boathouse was built in 1992. ^ "RNLI - Horton and Port Eynon Lifeboat Station". Retrieved 11 May 2014. ^ "New Year Honour for Swansea RNLI volunteer Steve Davies". BBC. 30 December 2014. Retrieved 2 January 2015.